No matter what your passion (or hobby) is, you can earn money in retirement by turning that passion or hobby into serious income! Do you like to travel? Are you an avid gardener? What about photography? If you are passionate about cooking or baking or sewing or golf or woodworking…well, you get my point! It’s true…these are all income ideas for retirement!How about blogging about your passion. How about blogging about your passion. You could help others with the same interests find services or products they’re looking for or help them solve a dilemma they’re struggling with. Maybe you already blog about your hobby or passion. If so, you probably already know that you can monetize that blog. That’s not always easy, though. Unless you are an internet guru, there’s just so much to learn that it’s usually just not worth the hassle. That’s what I always thought! I’ve had three blogs over the past ten years. My first was a travel journal of the road trips that my husband and I took throughout the United States. I have since retired the journal blog. My second blog was a food blog. It’s tucked away in WordPress just waiting for me to get it rolling, again. And I will. How I’m turning my blog into a source of additional income. My third is Small Space Decor Ideas and I created it because interior decorating is a passion of mine. It’s still in its baby stages, but I have high hopes for its success. Some years ago I learned from a fellow blogger about Wealthy Affiliate which is a platform for earning money through affiliate marketing. I was skeptical about its validity, of course, so I just forgot about it. Now and then it would come back into the conversation but I still did nothing. Then I lost my husband to cancer. That was tough. The business that we had was a fine business but just too hard to carry on by myself. So I sold it and moved to the Cities to be near family. I finally decided to investigate this Wealthy Affiliate business. I read wonderful reviews by successful affiliate marketers from all over the world. Its reputation is flawless. So I signed up for the free starter lessons which I discovered are so valuable. 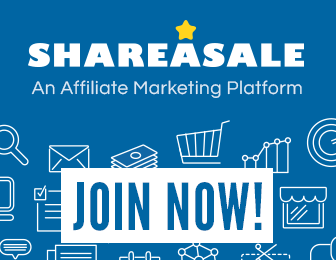 When I felt comfortable that this is indeed an excellent platform for learning affiliate marketing, I became a Premium member. The rest is history! It’s the most wonderful community of helpful members and a learning platform that is unbelievable. There are 5 levels of Certification Courses with 10 lessons in each. Then there are dozens of training videos and once a week there’s a live webinar. Here’s a LINK to some of the subjects covered in the webinars in past weeks. Take a look. If you are the least bit curious, I invite you to visit the links. No pushy sales techniques here, I can assure you!